Natural vinegar - a product that is made fromfermented grape or apple fruit. 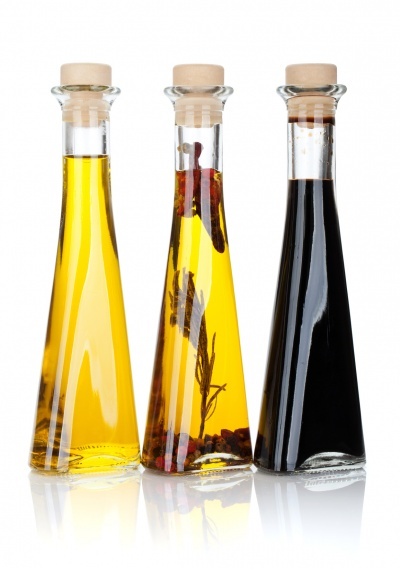 Typically, the concentration of natural vinegar is about 5-9%. Synthetic acetic acid - is waste from the manufacture of wood. Many people mistakenly believe that "wine" and "apple" vinegars - isdilute acetic acid, which was added flavoringsand colorings. However, it is not. Vinegar has a very high concentration (over 70%). That is why often the cause of food poisoning. The severity of the reception of vinegar and acetic acid depends on the composition andvolume of the substance, of fullness before useand speed of vomiting. Poisoning vinegar usually does not have suchserious consequences as acetic acid poisoning.But it can cause burns of the esophageal mucosa. When receiving more than 50 grams ofvinegar begin to suffer erythrocytes. This maylead to serious disease such as renal failure. Ingestion of acetic acid most often fatal end. Andif the victim would survive, he will have the rest of your life to deal with the consequences of thispoisoning. First of all, you must call the "first aid". Onlydoctors will be able to accurately assess the severity of the poisoning and effectively help the person. After this you should transgress to provide first aid. • Rinse mouth and throat with a weak solution of soda or plain water. • drink a few glasses of cold water to dilute the concentration of acid in the stomach. But, in any case, do not induce vomiting, as because it affected the esophageal wall may burst.